Note: Today’s post is a bit heady and nebulous, much like yesterday’s. Also much like yesterday’s, today’s has almost nothing to do with Samoa. Apologies to those who read my blog for Samoa content. 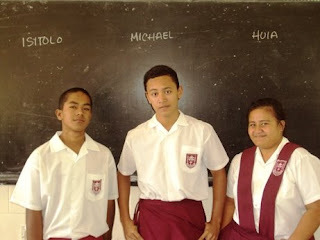 Tomorrow is Athletics Day at my school, and I can assure you will be back to Samoa stuff tomorrow. 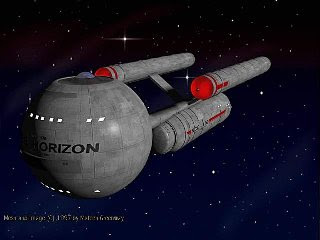 Back in the day when America Online was all we knew of the Internet, a bunch of my friends got involved in this role-playing game called Federation Sim Fleet. Though I witnessed some Federation play-by-play, I never got into it, but I do remember it involved space travel and snogging. The game revolved around points, and the more you played, the more points you received. In theory, if you could setup your computer to enter in menial text over and over, you could go and have a social life and then come back later and acquired lots of points. Alas, we were not computer programmers… and goodness, this was probably still Windows 3.1. What did we know? But then, Annabelle taught us all about macros. A macro is a series of coded instructions that your computer understands and follows. Programs in the Microsoft Office suite have a built-in macro recorder, so all you do is press record, go through whatever motions you’d like the computer to start doing on its own, and then press stop. Up until now, Federation in 7th grade was my only experience in programming macros. But now I’ve started to get increasingly involved in automating my school’s grading system. I can handle most of the stuff I want to do with a bunch of convoluted Excel functions, but there are a couple things I want the program to do (e.g. automatically sort lists) that require more than Excel commands. So I’m calling in the big guns. And, in an attempt to outdo Annabelle, I want to setup conditional macros. This probably means editing the macro in Visual Basic. And thus I reach the outer limit of my computer knowledge. Going outside of one’s computer knowledge is always scary. When Max comes and sets me in front of arcane server software and asks me to configure it to my liking, it’s like an episode of “Man vs. Wild.” The wilderness of the situation brings out a primal sense of fight or flight, and I get that feeling that it might be best to crawl into the nearest zebra carcass and wait until the search party finds me. But I like to think of my current situation with the macros as more of an Oregon Trail kind of deal. As long as I stay focused and don’t die of malaria, I should be able to get my Excel file working and come back to familiar stomping grounds. One last metaphor because I’m having fun: Phil lent me that book about Andrew Wiles solving Fermat’s Last Theorem, and sometimes I feel like working in Excel is a little bit like that. It’s not a 400-year-old math problem, but it’s almost the same. Riiight?It’s like I come to the brink of my own knowledge one day, and then I come back the next and work a little bit farther. And then something like the Taniyama–Shimura conjecture comes along (i.e. conditional macros), and it opens up a whole new world of possibilities. I guess that’s my favourite part of dealing with spreadsheets: it’s the closest thing I have in real life to high school math problems. There’s a problem, and there’s a way to solve it, and there are no grey areas like in politics and diplomacy and writing; there are just ways to do something and better ways to do something. Anyway, I hope you’re well. Pictures below. I think it's millipede season. That, or it's another plague to free the Israelites from Samoa. I took this picture last night, but as I type this caption, I see one crawling across the floor right now. I took mugshots of my 11.1 class today to help me learn their names. It's a bit desperate. I love that that the camera's flash left a saintly halo emanating from Michael. Well, you will definitely remember St. Michael's name. In regards to your trying to do a computer grading system...are you really speaking a form of English in your musings on that? None of those things are vocabulary words in my daily life. I'm lucky to understand there is a program called Excel. Mataio, when done you should take it to your mate the Church secretary for show and tell. Maybe all the church schools will end up using it including the one Koa is at. 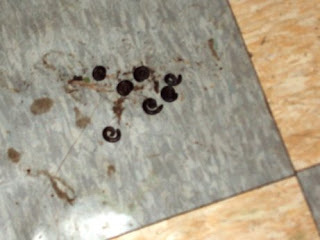 Another solving problem for millipede: put them in a bottle and close the top, put them in a fire. Another thing my mom used to do.